CentraXX merges patient information from three sources: the clinical information system, the clinical cancer registry and biomaterial information. All samples from cancer patients are thus clinically annotated. Importantly, as biomaterial management system, CentraXX complies with all requirements of German data protection laws (including pseudonymization of biomaterial and patient data), and includes all biomaterial-specific information. 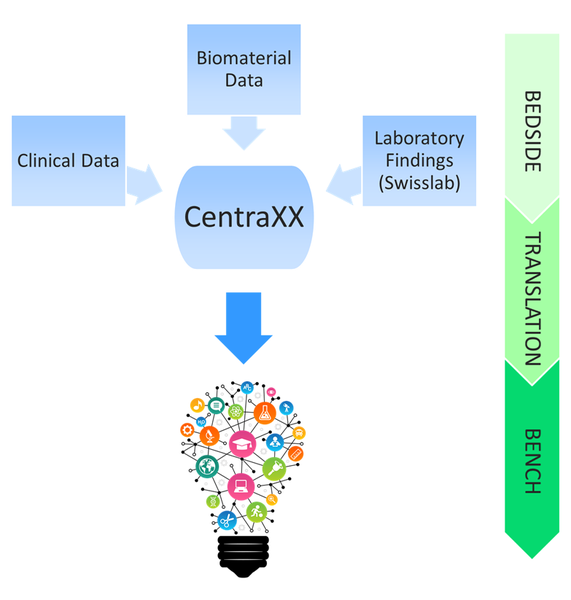 In addition, CentraXX allows the exchange of pseudonymous clinical data and biomaterial between partner sites. The UCT has therefore been instrumental in setting standards for DKTK.